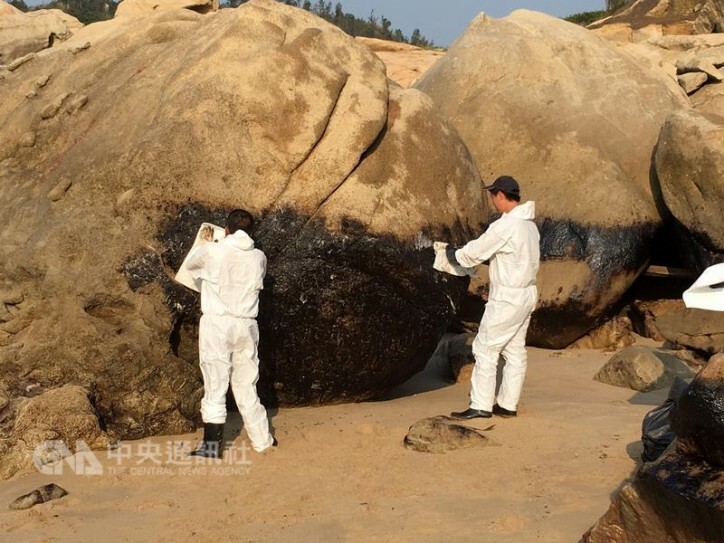 Five days after a cargo ship that drifted from the Chinese city of Xiamen to Taiwan-controlled Kinmen during a recent typhoon and later began to leak oil, authorities in Xiamen agreed Tuesday to offer assistance with cleanup work. 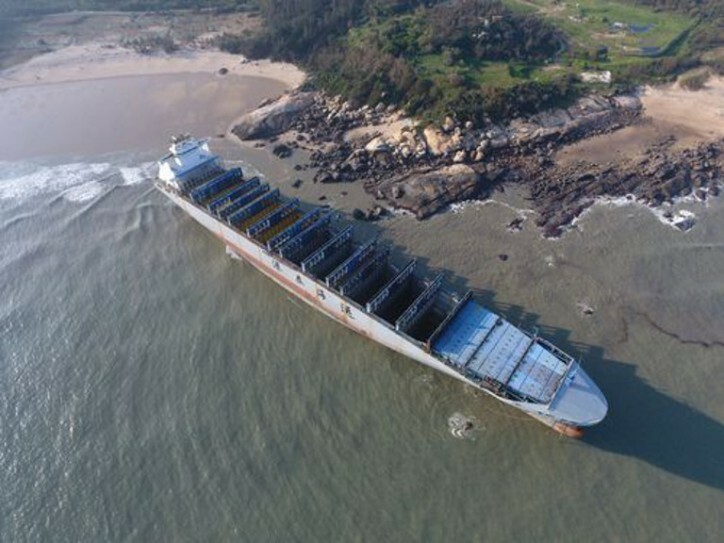 Kinmen Magistrate Chen Fu-hai contacted officials in the Chinese province of Fujian Tuesday and confirmed that Xiamen's Marine Safety Administration will send vessels to help deal with the Gang Tai Tai Zhou, a 40,000-ton vessel that ran aground off the coast of Kinmen. The cargo ship, which had docked in a port in Xiamen, west of Kinmen, broke loose from its mooring and drifted before running aground off the coast of Gugang Village, when Typhoon Meranti passed through the region Sept. 15. Taiwan's Maritime and Port Bureau said oil leaks were reported on the night of Sept. 16 and the county government and Coast Guard Administration (CGA) took emergency measures to stop the oil from spreading. The county government expects to finish the cleanup by Sept. 25, while the shipowner was ordered to present a plan for salvaging the vessel, with the help of the Chinese authorities, in a meeting scheduled for Wednesday, the bureau added. Because of the strong current and waves, divers have not been able to determine the extent of damage to the ship's hull, and repair work can be only conducted at low tide, the county government said. 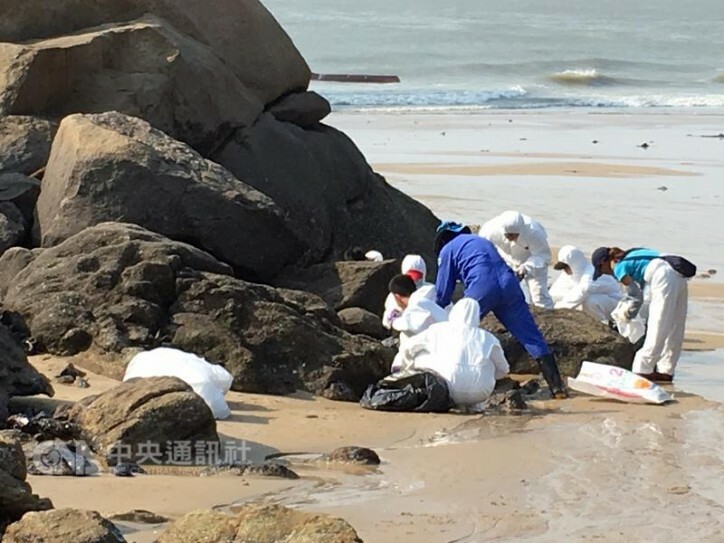 An emergency center was set up to handle the aftermath, and the CGA is conducting hourly patrols along the beach to check if the oil spill has spread to other parts of Kinmen. Workers have also been cleaning oil from the rocks along the beach, a task that is expected to be completed in two days, the county government said.